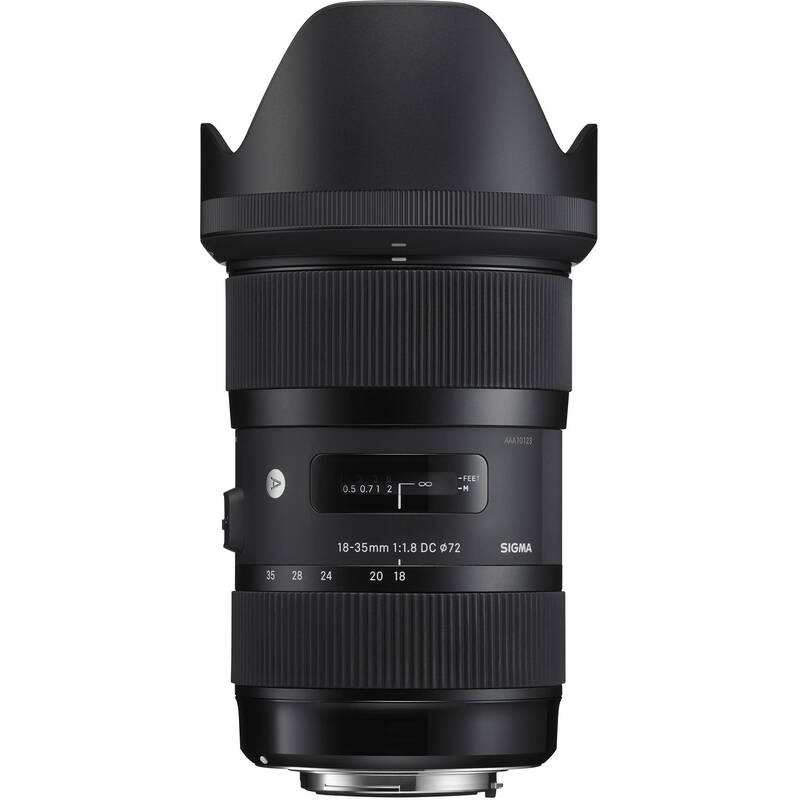 The Pentax K-mount Sigma 18-35mm f/1.8 DC HSM Art Lens is a wide-angle to normal-length zoom that features a fast, bright constant f/1.8 maximum aperture. It is specifically designed for use with APS-C-sized sensors and provides a 35mm-equivalent focal length range of 27-52.5mm. 18-35mm f/1.8 DC HSM Art Lens for Pentax K is rated 4.7 out of 5 by 528.
i know this is for crop sensor. but will it work on full frame without a huge black edge around the image? this lens seems amazing!! 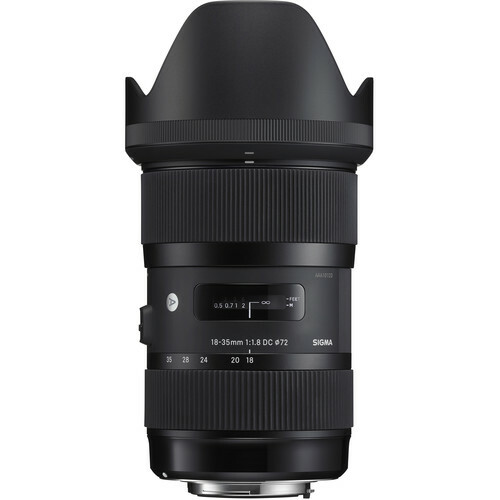 From most all reviews I have seen, typically, everyone does state that the Sigma 18-35mm f/1.8 DC HSM Lens for Canon is an amazing lens as you mention. However, as the Sigma 18-35mm f/1.8 DC HSM Lens for Canon is designed for APS-C cameras, it should not be used on a full-frame camera. Trying to do so may damage the reflexing mirror in the camera or the rear element of the lens, or both, and as it is designed for the smaller APS-C sensor, there would be a black border around the edge of the frame where the larger sensor is looking at the outer edge of the lens' housing. I want to adapt this lens to my Sony fs5. Would it make more sense to order the EF mount version and use either the MC-11 or Metabones Mark4? OR.. Order it in the Sony A mount and then use Sony's A to E mount adapter? I believe Sony's native A mount of this lens won't go directly onto the fs5. You will get similar results whether you go Canon EF to Sony E or Sony A to Sony E adaptation. But, it is best to trust the results of the Sony to Sony functionality (eliminating a 3rd party product), so the Sony A mount to E mount adapter is recommended for the FS5. If used with the Speed Booster XL 0.64 on the GH5, what would this lens' FF equivalent be? With the Speed Booster XL 0.64x, the 50-100mm focal length would convert to a range of 32-64mm. Then, because it is on a Panasonic GH5 Micro 4/3 camera and sensor it would have an additional 2x crop-factor conversion to an actual effective range of 64-128mm when fully converted. You should not experience any vignetting. How is this camera for handheld video without the image stabilization? I have used this lens with my Panasonic GH4 and metabones adapter several times handheld. The heaviness of the lens makes it better for handheld shots as long as you hold it right. I use a little image stabilization in post with some of the resulting clips since the lens has no built in image stabilization. I love this lens and keep it on my camera for all low light shooting, Bridesmaids getting ready shots and wedding reception dancing. The Metabones T Smart Adapter for Canon EF or Canon EF-S Mount Lens to Select Micro Four Thirds-Mount Cameras would be a great option. I understand that the 1.01 update for the d5500 disabled autofucus for many Sigma lenses, but the art I've heard sme of the art series lenses remain compatable, do you know if this is true? The only way to determine complete compatibility between a camera and a lens from a 3rd part manufacture is to try it out to see the results. The auto focus should work with this lens, but the only way to know for sure is to test it out to see the results. This lens is a returnable item if you are not happy with the results as well.